When confronted to the difficult moment of choosing your new coat, lots of us will opt for the classic of classics: the black coat. And regarding the fact that you’ll have to wear it every single day of the winter season and that it will have to match each and every of your outfits that is perfectly logical to prefer have at least one in a versatile color. Other very versatile options would be other neutrals such as grey, beige and navy blue. So let’s get back to black. 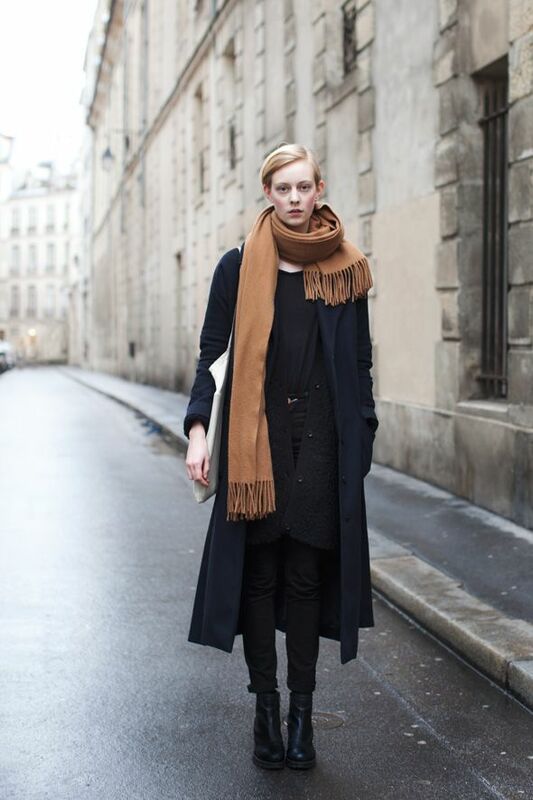 The problem is that every single girl in the street has a black coat. Something the parisians do not really care about is too look alike when it comes to classics. In the streets it seems that the crowd of trench and perfectos is replaced by a crowd of black coats when winter comes. 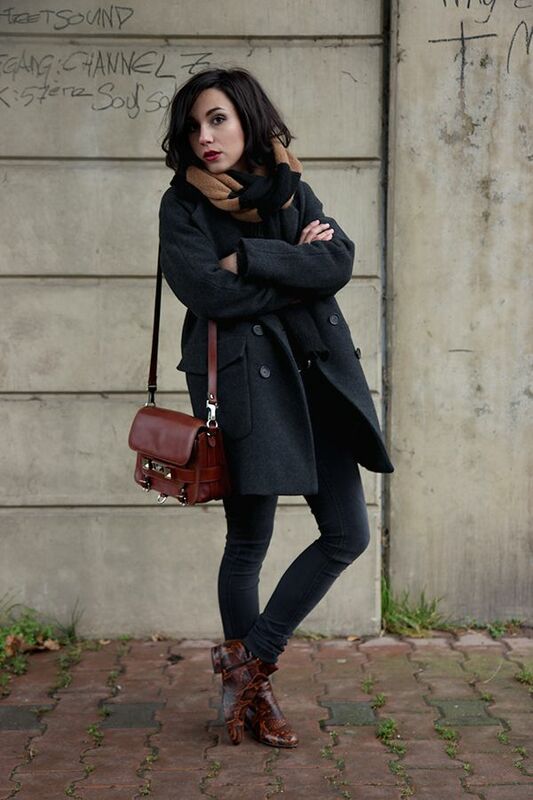 Still, I personally like to have my own difference when wearing a black coat. 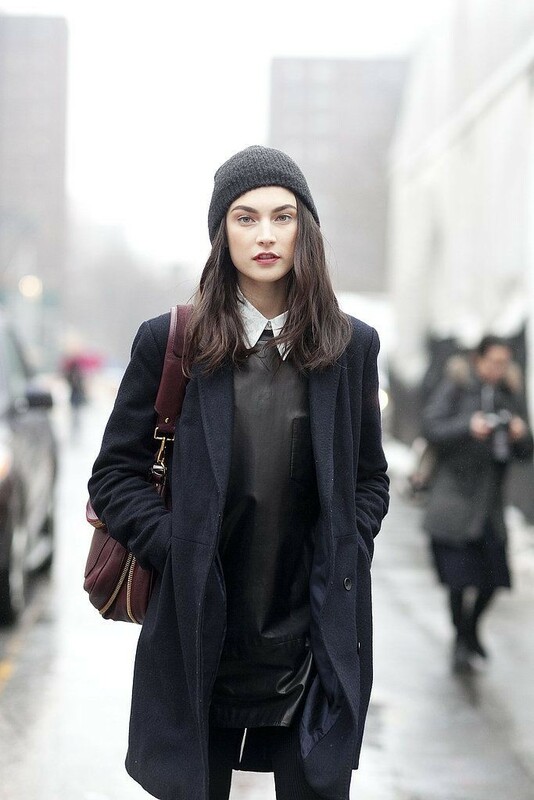 Hence the question of the day: how to wear the black coat without being just the black sheep of fashion? Supposing you do not already own one. If you do and it is still in great shape, you can directly go to 2. to see how to upgrade it. 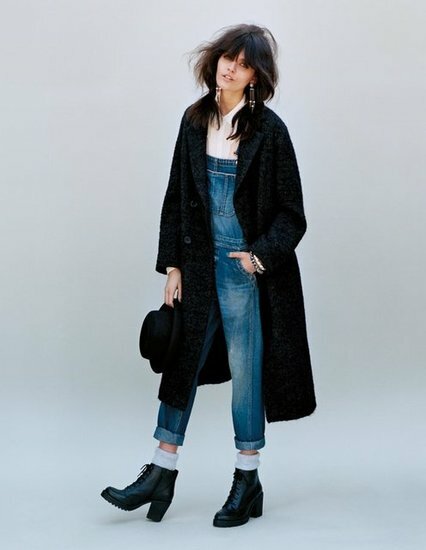 The shape of your new coat could be anything: tailored, A-line, cape, boyfriend, belted, every style can be done. Quality is key, especially when it comes to such a big piece as a coat. You want the hems to be perfect, the lining to be subtle, the buttons to be well attached and the fabric to be beautiful. Avoid coats that contain nylon or acrylic which will make them look shiny (and not warm enough anyway). Also forget about the cheap coat with lots of insignificant low quality details like sewings, wide collars, etc. Those have to be perfectly mastered to look great. Only the beautiful details will add style to your coat. An outstanding fabric such as faux fur or fluffy wool can make your coat look different. Such a coat may be expensive but consider this being an investment for the next five years. If you do, the cost per wear won’t be so terrible and you’ll be glad to have something that really keeps you warm. Make also sure the coat flatters your body. 2. How to pimp it? This is all about what you wear on top and what you wear underneath. 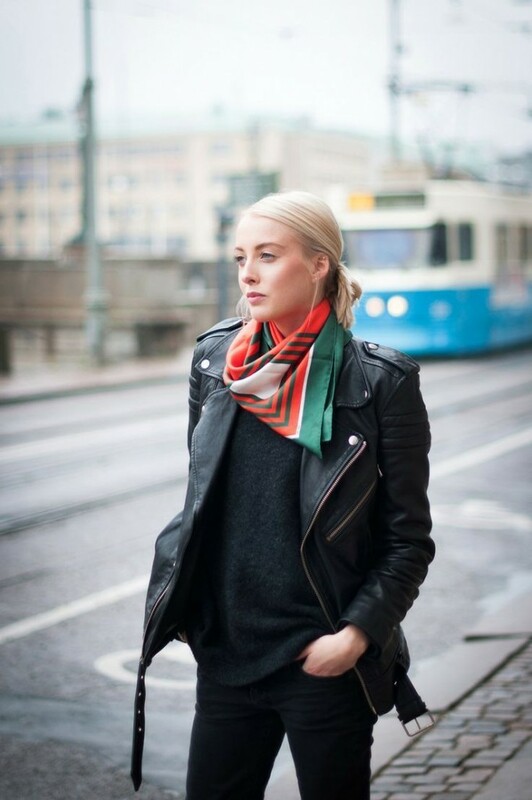 Colored scarves are a great way to make your coat look different everyday. You want them to make a nice transition with your coat rather than to be an harsh flash of color. I recommend you to opt for rich saturated colors (greens, oranges, pinks, reds, yellows, etc) or darker tones (navy blue, emerald green, burgundy, deep purple, etc) eventually containing some sparkle and print. Neutrals and dusty colors are a nice way to transition from black to skin too. You can also use a print mix that contains black in order to remain subtle. Blake lively with a patterned scarf that contains black. 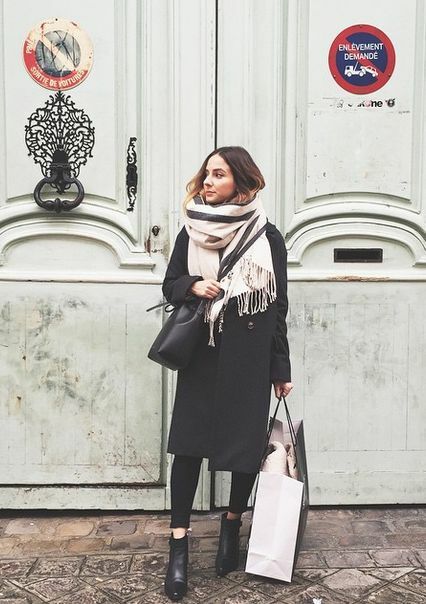 A pair of beautiful leather black gloves is always a good idea because they are chic and make a fabric transition with your coat (assuming it is not made of leather) which makes them be noticeable. You can also opt for gloves in rich colors such as what you did for scarves. Neutrals such as grey and dusty colors can be an option but will get dirty way too fast. 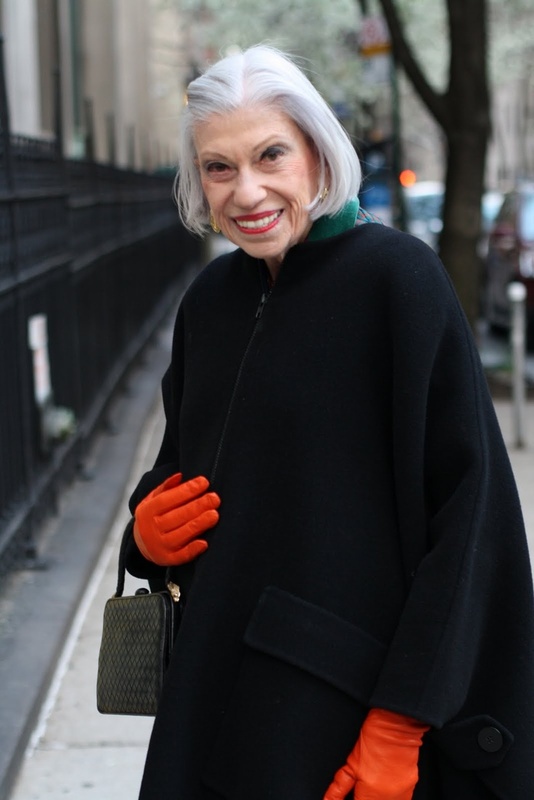 Everything that you see outside of the coat is an important accessory. They can be colorful, have an interesting fabric, shine, be printed or have all at once so you notice them. The flashy effect can be achieved in an elegant way with those. 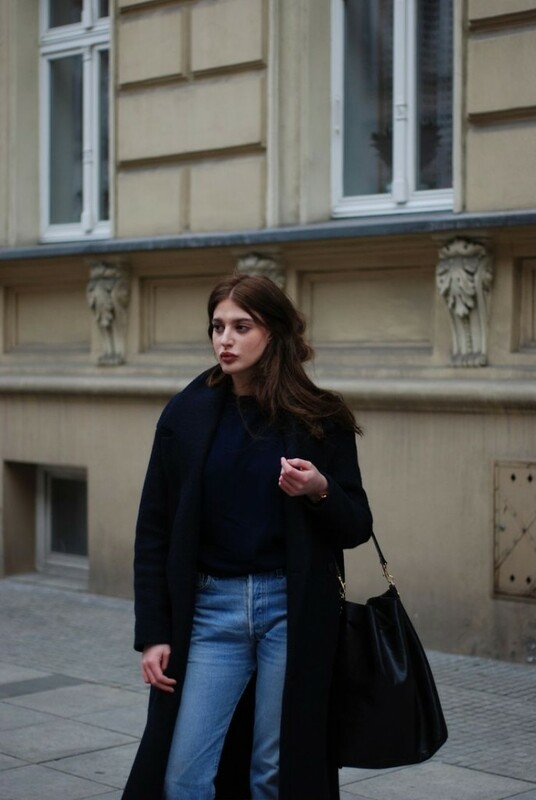 As I stated in my article “how to wear jewels in winter“, brooches and earrings have this great interest that they are visible in the street. Use them to make your coat personal. This way, you can see what’s underneath. And you? 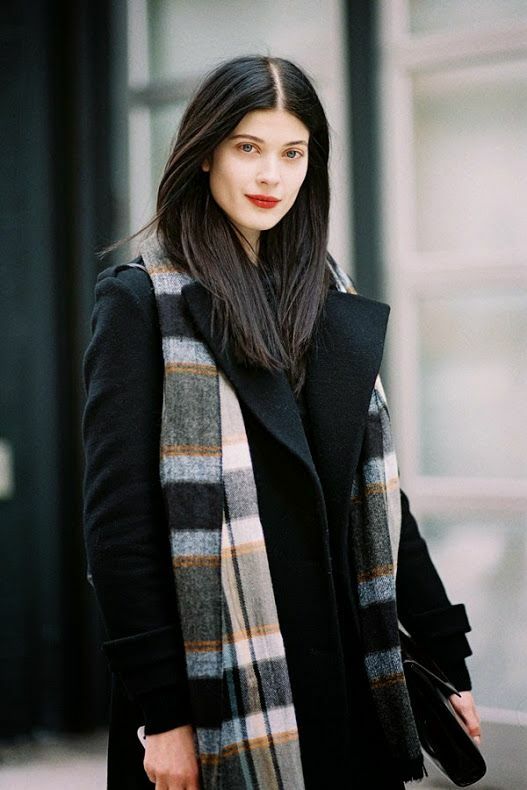 Do you own a black coat? How do you wear it? Alois! I absolutely LOVE the looks you create. You are so talented! Thank you for your many helpful guides, they have greatly aided me in refining my style. I was wondering if you had anything for a girl with tanned skin. I am of Indian descent and greys and pastels make me look very sallow, whereas bright colors and jewel tones look amazing as do high contrast neutrals (beige looks horrible on me). I would love to wear jewel toned outfits but I don’t want to look like Joan on Mad Men either. I would love to wear jewel tones and bright colors to the office without looking like I’m trying too hard! Will try to answer you in a bookmaker but it won’t be soon as I have loooots to do right now. La fille de la dernière photo est une pure beauté, et j’adore son écharpe. 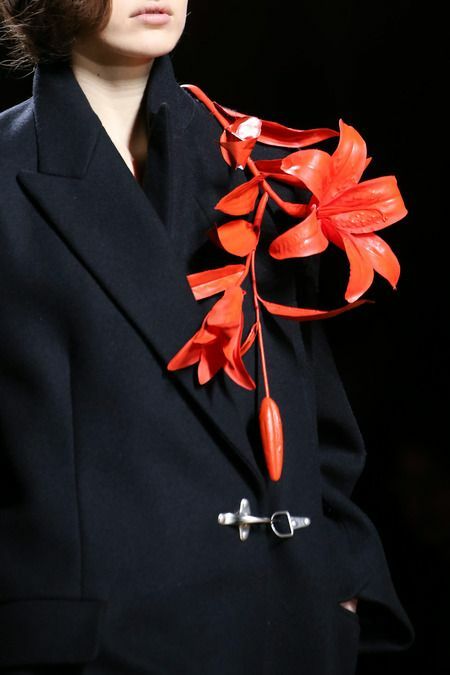 Sinon, la petite broche discrète de dries Van Noten a aussi beaucoup de classe je trouve…mais il faut oser. Que penses tu de cette marque? J’ai lu du bon comme du mauvais, sachant que je n’ai pas les moyens de mettre 400euros dans un manteau tous les ans j’aimerais qu’il tienne le coup. Si tu as des conseils je suis preneuse ! Je le trouve très sympa. Perso, j’ai eu un manteau comptoir qui a tenu 7 ans (et qui est encore en bon état, le noir étant par contre un peu blanchi), après, je ne sais pas si la qualité est aussi bonne aujourd’hui qu’il y a 10 ans mais je pense que c’est toujours pas mal quand même. Et les soldes arrivent vite! Merci de ta réponse ! Si il me fait 5 ans je serais déjà très contente, j’irais regarder un peu les finitions en boutique, voir ce que ça donne!